Telling her truth. 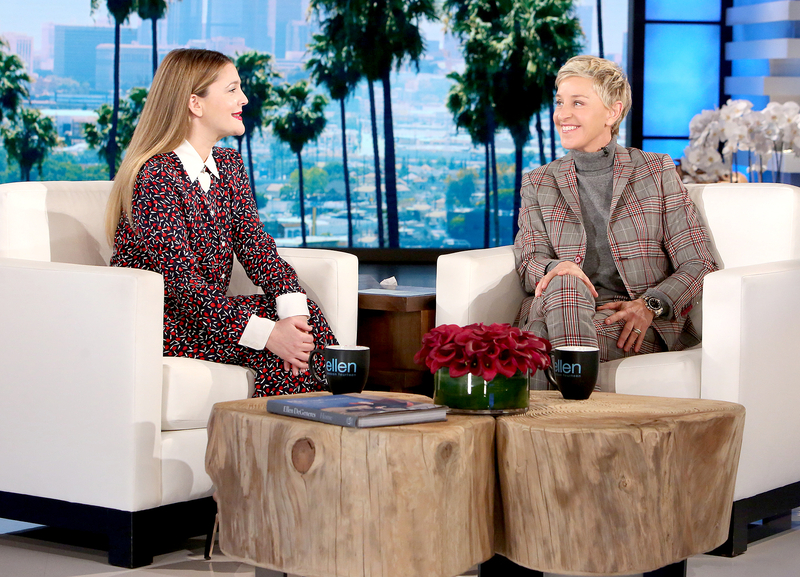 Drew Barrymore opened up about her split from ex-husband Will Kopelman during a Thursday, February 2, appearance on The Ellen DeGeneres Show. See what she had to say in the video above! According to the 41-year-old actress — who had a tumultuous upbringing as a child star with famous parents John and Jaid Barrymore — she never expected her divorce from Kopelman, with whom she shares daughters Olive, 4, and Frankie, 2. "It was just like my worst nightmare. I so wanted to raise kids in this ultratraditional way and do everything so the polar opposite of my experience," Barrymore — who called it quits with Kopelman last year after three years of marriage — told DeGeneres. However, the Santa Clarita Diet star said that she and and her former spouse have been able to work together to coparent their daughters in New York. "It really is about the tone you set, and you can talk until you&apos;re blue in the face, but kids watch what you do every single day of your life, all day long, and that behavior and that example and that love and community and honesty is just, I think, what&apos;s making everything feel safe for my kids," she said. "And that&apos;s really the intention I had as a parent — how do my kids have this incredible sense of, like, freedom inside their heart, because they know I&apos;ve got them and their dad&apos;s got them and the [rest of their family]." Drew Barrymore and Ellen DeGeneres Courtesy of Michael Rozman/Warner Bros.
She continued, "I got two families. I went from, like, zero to two and it&apos;s a miracle and a blessing, and we do it in a way that I think a lot of other people are probably doing it too and sometimes, again, the road is different than what you tried to make it or what you expected and you just figure it out and figure it out with grace." During her chat with DeGeneres, Barrymore also recounted a recent — and quite emotional — trip to Disney World with her little girls. "We went to Disney World, which is such a dream come true for any family. You&apos;re just seeing your kids&apos; joy, and I was just crying the whole time,” the proud mom of two said. “Cinderella thought I was nuts!" Barrymore&apos;s new series, Santa Clarita Diet, launches its 10-episode first season on Netflix Friday, February 3.